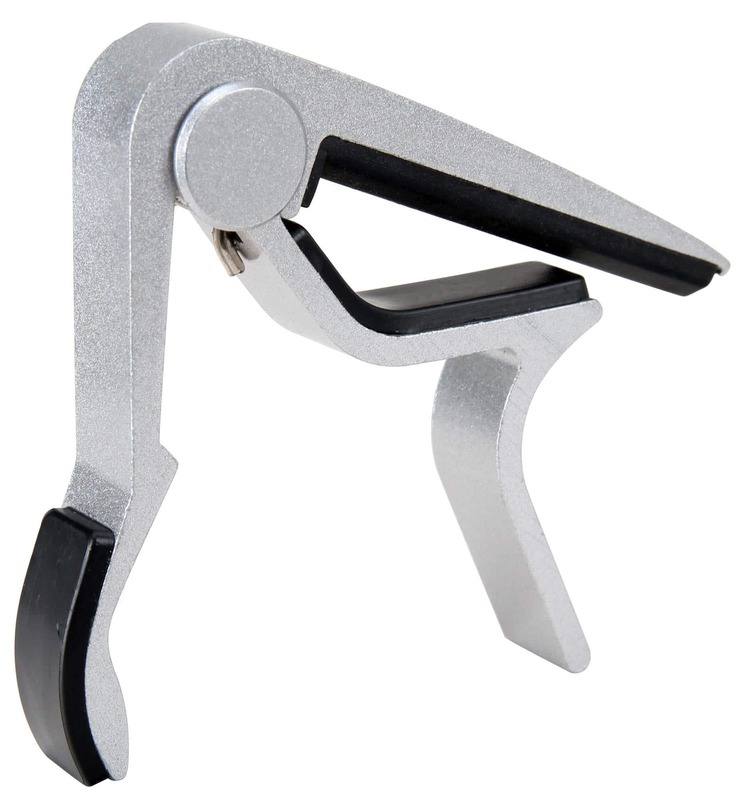 Practical clamping capo for quick changes! A capo is used to shorten the string length of a guitar. 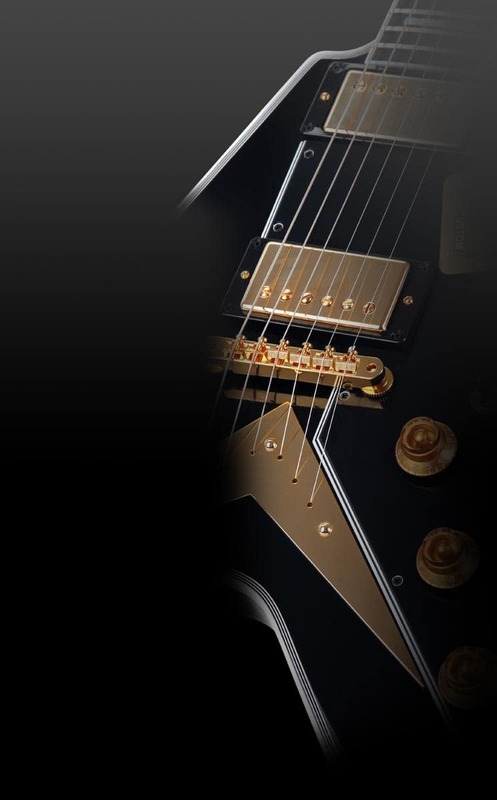 It is clamped between the two frets of the fingerboard. Thus, the pitch of each freely vibrating string increases by a semitone. So one does not need to relearn the fingerings for chords when transposed into higher pitches. 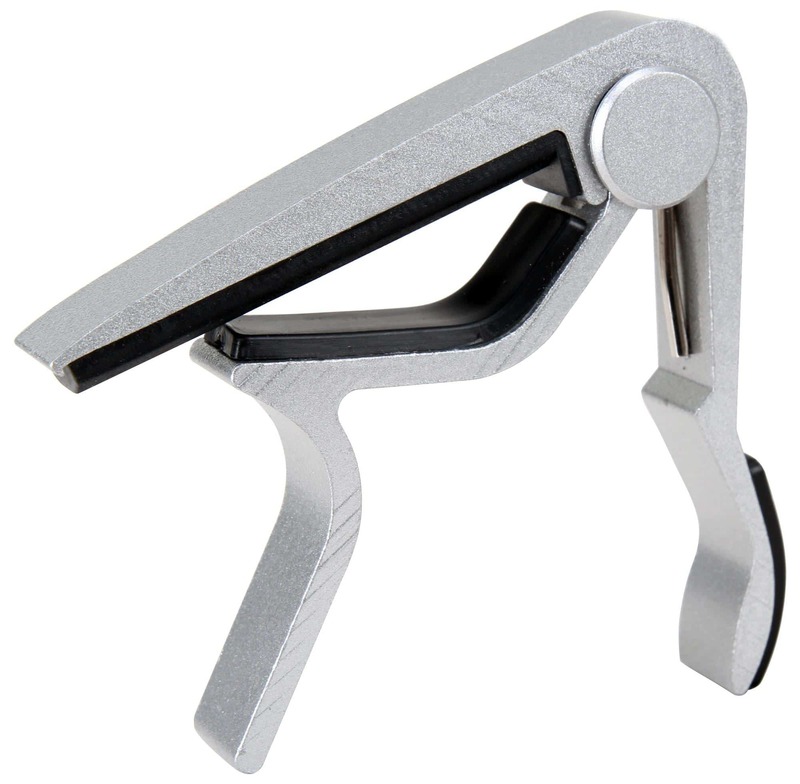 Thanks to its handy spring-handle, it is easy to change the tuning of the Rocktile TC1 Capo quickly with one hand without any problems. The thick rubber pads protect the neck and fingerboard from scratches while still providing sufficient pressure on the strings.